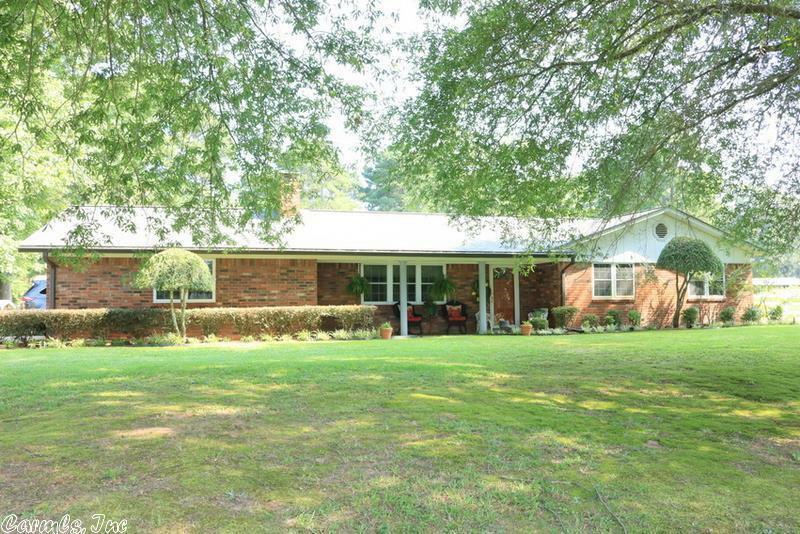 Brick home west of town, approx 20 acres w/pond, fenced, offers 3 bedrooms and 2 1/2 baths, 2,337 sq ft of living space. Formal living/dining w/fireplace insert, large family room w/Ashley heater and built in study w/ desk. Eat in kitchen w/breakfast bar and quartz counter tops, utility room w/extra storage. Double carport, storage room w/cedar closets, two CH/CA, new paint throughout, hand scraped hardwood floors, granite and energy efficient windows. Rural water, well, paved driveway, and outbuildings.